Leading Manufacturer of display stand and slanted display stand from Delhi. 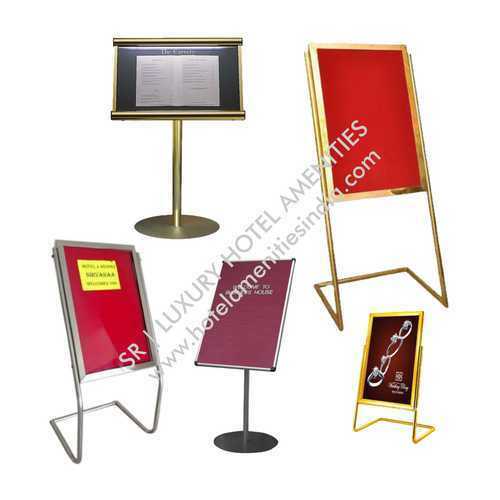 SR Luxury Hotel Amenities provide Display stand for Hotel Banquets and Restourents purpose to display the Host and Guest Name and Particulars. Packaging Details: Box Carton Packing. Size/Dimension As per the requirement. 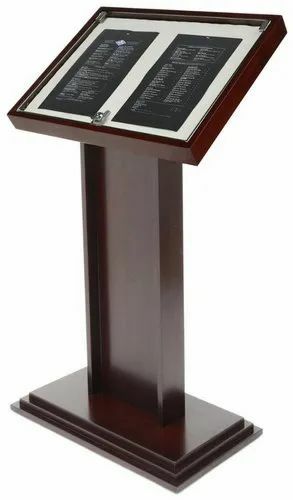 We provide Wooden Slanted Display Stand Or Guest Welcome Display stand for Hotels and Offices.These wood display stands are light weight and easily mobile.